The flats comprise seven single bedrooms grouped around a kitchen/dining area. These flats are self-contained and have their own shower and WC facilities. Each bedroom has a fitted carpet, wardrobe, desk, chair, bed and wash-hand basin. 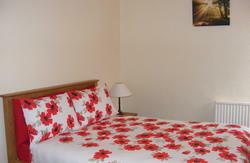 You will be allocated a bedroom within a flat sharing with other visitors. The flats are available from mid June to late August. 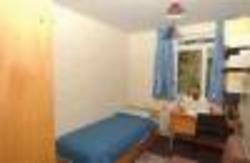 These flats are used for student accommodation during term time. We Provide Sheets, Pillows, Bed Coverings and Towels. Kitchen Facilities include cooker with oven, grill, fridge/freezer, microwave, crockery and cutlery. Electricity is included in the charge. We also offer a Television Room, Licensed Shop, Badminton, Table Tennis, Tennis Courts, Games Hall. During the Summer months the Bar and Takeaway Outlet are subject to varied opening hours. Sports Facilities are available at the Aberdeen Sports Village approx 15 mins walk from Hillhead and include a multi gym and squash courts. The swimming pool and tennis courts are located on the main University Campus. Take the No. 20 bus (operated by Firstbus) from Union Street to Hillhead Halls. The No. 9U bus (operated by Stagecoach) can also be taken from Union Street to Hillhead Halls.